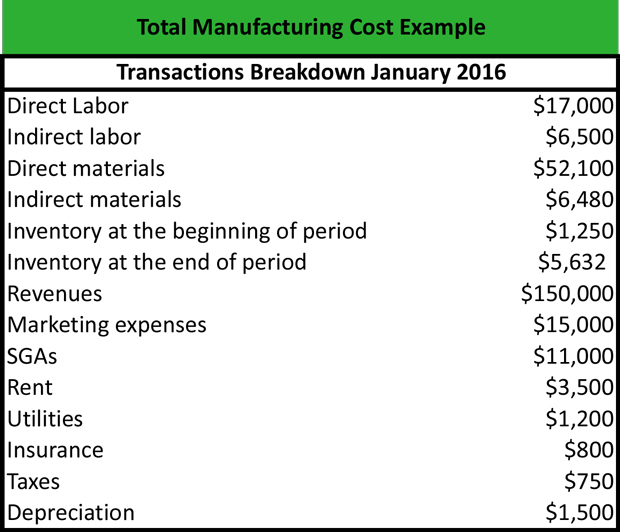 What is Total Manufacturing Cost? Home » Accounting Dictionary » What is Total Manufacturing Cost? Definition: The total manufacturing cost is the total expense incurred by a firm’s production process during a given period. Management and investors often compare it to total revenues to determine a firm’s profitability. What Does Total Manufacturing Cost Mean? What is the definition of total manufacturing cost? The TMC includes direct labor, direct materials, and overhead costs. The cost of direct labor refers to the direct labor that contributes to the manufacturing of a product or a service during a given period. The cost of direct materials is the cost of the materials used for the manufacturing of a product or a service during a given period. Overhead costs are the costs that are not directly related to the manufacturing of a product or a service, but they contribute to the firm’s profit-making activities. To calculate the TMC, George first calculates the overhead costs, that include the cost of indirect labor, the cost of indirect materials, the marketing expenses, SGAs, rent, utilities, insurance, taxes, and depreciation. The overhead costs are $46,730. The cost of direct materials includes the direct materials, the inventory at the beginning of the period and the inventory at the end of the period. The cost of direct materials is $ 47,718. George calculates the TMC by adding the cost of direct materials, the cost of direct labor and the overhead costs. The TMC is $111,448. For the calculation of the TMC or its components, George does not take into account the revenues. However, by subtracting the total manufacturing cost of revenues, George finds that the profit for the month of January is $150,000 – $111,448 = $38,552. Define Total Manufacturing Costs: TMC is the sum of all production costs incurred during a fiscal period. 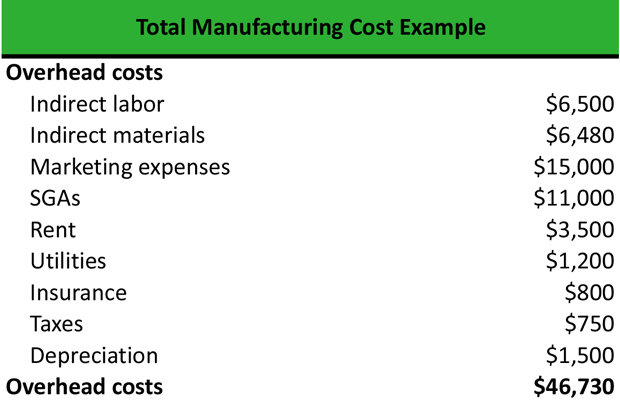 1 What Does Total Manufacturing Cost Mean?